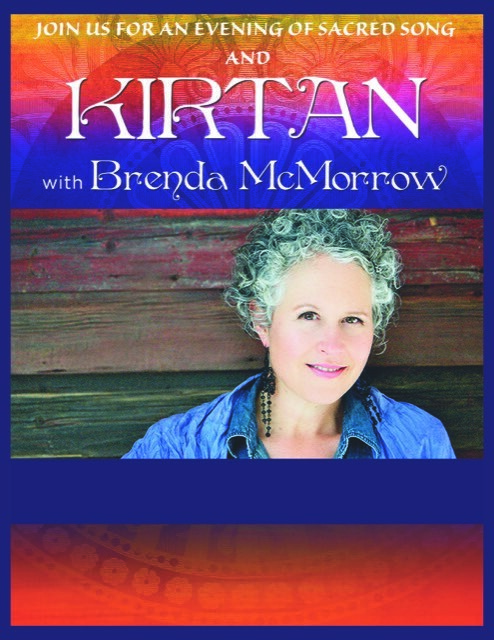 Join us for a special kirtan evening with Brenda McMorrow. Devotional Chant Artist Brenda McMorrow travels worldwide sharing her deep devotion to the celebration of our true beings through the joyous practice of Kirtan. She has accompanied Grammy Award winning cellist David Darling and Kirtan musicians such as Jai Uttal, Wah!, David Newman and Dave Stringer and has been invited to Bhakti Yoga Festivals and events across North America and Europe as part of her most recent touring schedule. When not on the Bhakti road, Brenda calls Toronto, Ontario home.